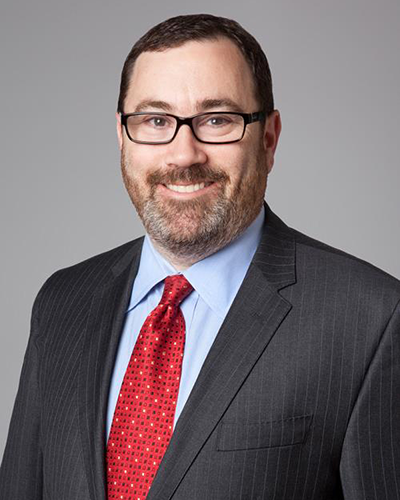 Jim Landau has nearly 30 years of commercial litigation experience in New York, having spent the bulk of his career at Proskauer Rose LLP and Brown Raysman Millstein Felder & Steiner LLP. Jim has represented individuals and companies of all sizes in a broad range of matters, including commercial real estate litigation, commercial collection work, bankruptcy litigation, intellectual property litigation, non-compete and employment-related disputes, partnership dissolution proceedings and mortgage foreclosure actions. Jim is rated AV-Preeminent™ by Martindale Hubbell and has been AV-Rated since 2001. Jim has been elected to the New York Metro Area Super Lawyers® every year since 2012. Representation of a large New York developer in an appraisal proceeding to determine the replacement value of several iconic structures that were destroyed during the terrorist attacks on September 11th. Representation of a large Manhattan landlord in connection with numerous lawsuits involving its commercial tenants. Representation of a major New York City newspaper in connection with an action commenced against its general contractor and engineer for damages for the negligent design and construction of its printing and distribution facility. Representation of a Westchester commercial landlord in a holdover proceeding against its commercial tenant.